Metrohm is proud to announce the release of significant enhancements to its Ti-Touch Titrator family of potentiometric and Karl Fischer titrators and a new low-cost autosampler. These releases will bring enhanced productivity to laboratories performing standard, routine titrations in support of product quality or manufacturing. The expanded capability of the Ti-Touch family and the 810 autosampler are particularly beneficial to users in regulated industries such as pharmaceutical and food as compliance with GLP and the requirements of the U.S. FDA 21 CFR Part 11 regulations are fully supported. Users now have the ability to connect a second titration stand, do pH-STAT titrations, and benefit from fully automated analysis of up to 24 samples when combining the Ti-Touch titrator with the new autosampler. The Ti-Touch instrument series was designed with the routine user in mind and includes a graphical interface that allows operators to start their favorite methods with a single touch of an icon. Connectivity and networkability are expanded as users may connect a thermal printer to their Ti-Touch titrator to print out reports right in the laboratory. Alternatively, a network printer may be used, results may be exported straight into any LIMS, or they can be managed using Metrohm ti-Base software. 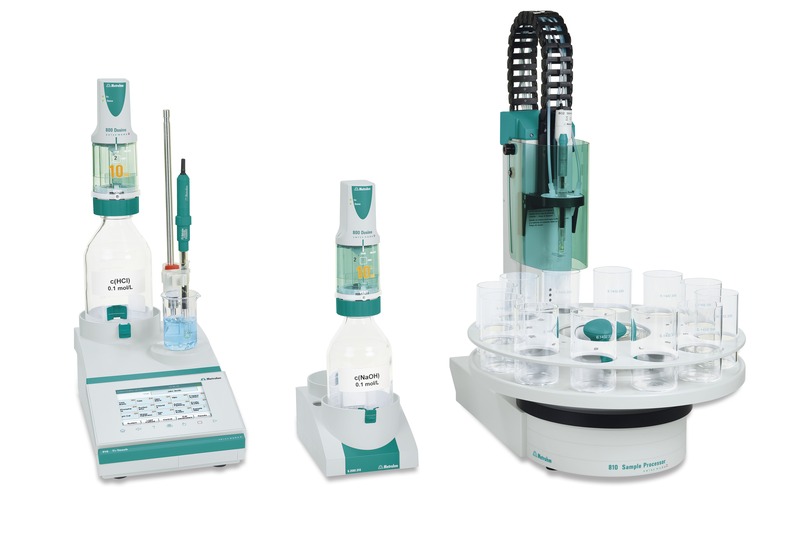 With the upgrade of the Ti-Touch family, Metrohm strengthens its position as the market leader in potentiometric and Karl Fischer titration.